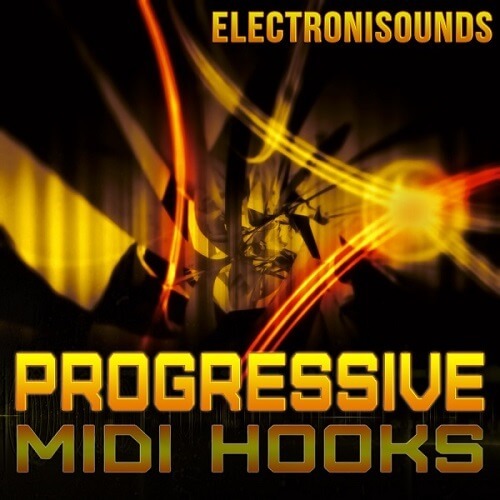 Electronisounds presents “Progressive Midi Hooks”! 35 catchy, melodic Progressive and Electro Leads in MIDI and WAV formats. These hooks are designed for serious mainstage club and festival use and will help you get that top-level floor-filling sound! Each hook is provided in Wav format at 128bpm and also MIDI format for ultimate customizing. Using the provided MIDI versions you can quickly and easily use your favorite synth sounds, layer multiple sounds, change keys, tempos etc. The audio demo showcases 10 of the 35 included hooks. 35 all-new and exclusive pumping kick drum samples are also included. Each kick is key-labeled for your convenience! “Progressive Midi Hooks” is 100% royalty free, meaning you can add all of these elements to your sound without worrying about any sample clearance hassle! WAV, MIDI — Compatible with ANY and EVERY DAW! ALL SAMPLES ARE LABELED BY ROOT KEY.